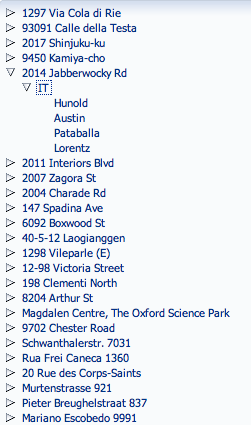 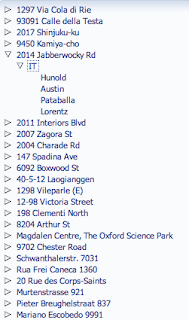 My last post this year, I'm closing 2011 with #106 posts and will resume early 2012 (already next week). 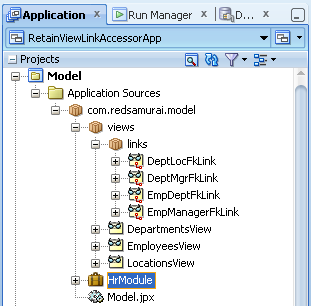 This post is based on question logged on our public Wiki (Red Samurai Ora-Bug Tracker) - reference attributes in other view objects using groovy. 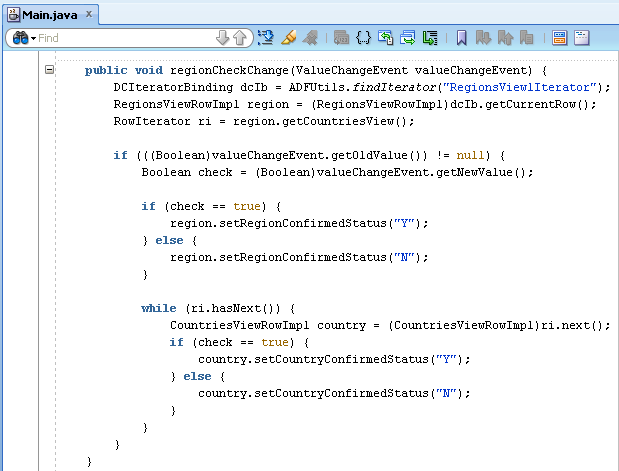 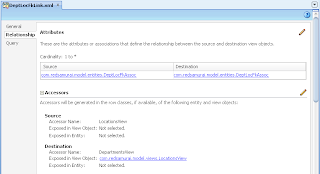 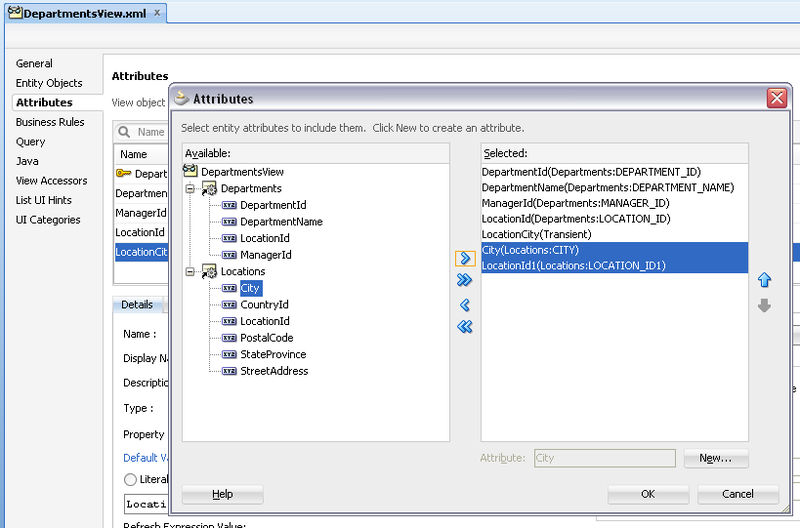 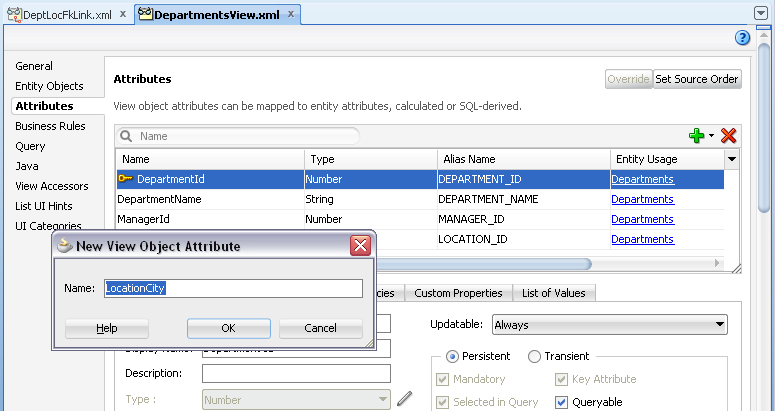 Developer was asking how to access attributes from different View Objects using Groovy. 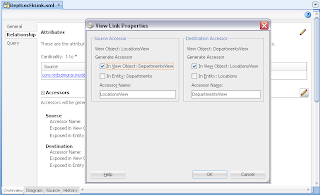 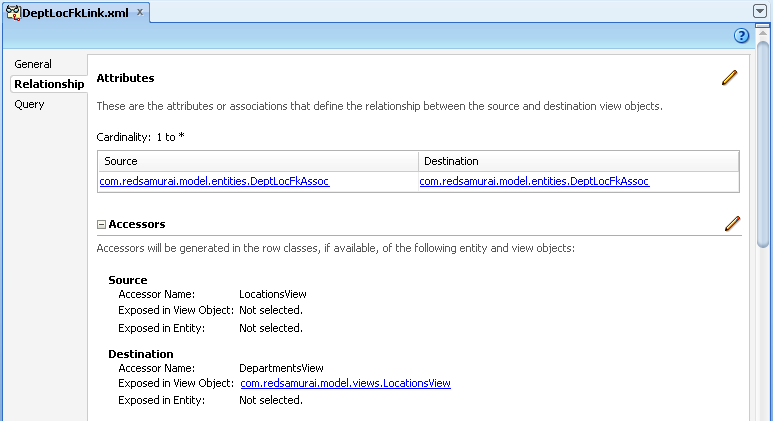 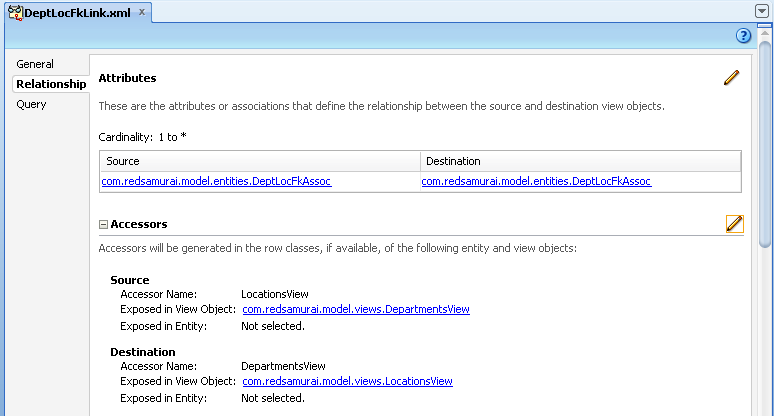 Answer - attributes can be referenced using Groovy by View Link Accessor name, similar as we can reference in Entity Object by Association name. 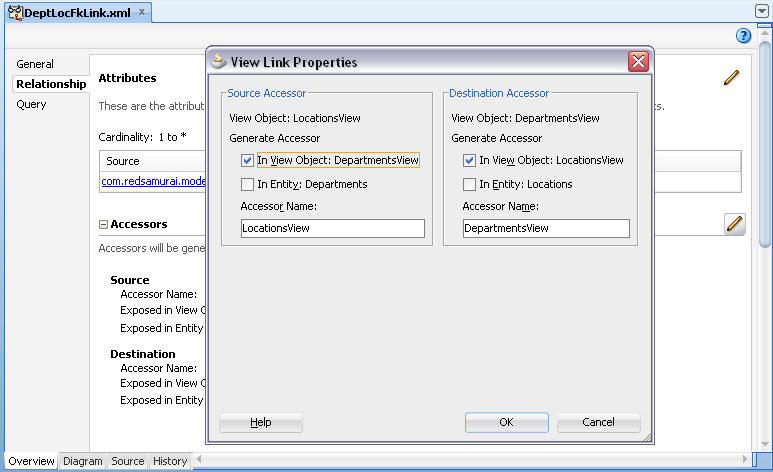 Pros and cons are discussed as well, and why I prefer standard View Object join. 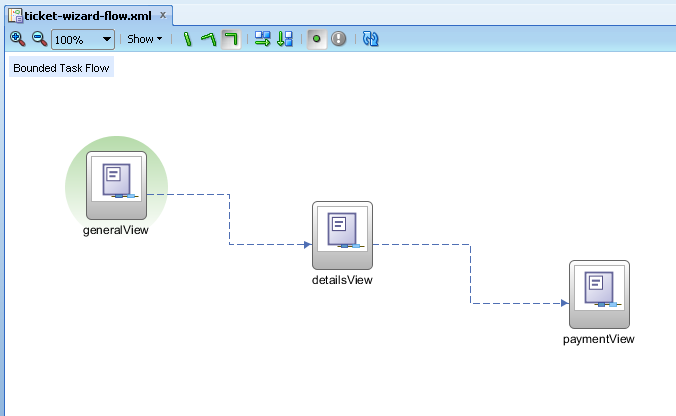 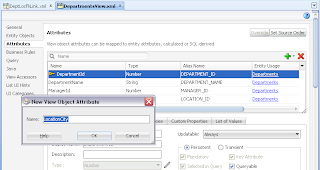 I would recommend better to use standard View Object join, based on Association - it will retrieve same value directly using SQL join, without forcing to execute second SQL statement from Groovy. I wish you great start in 2012 ! 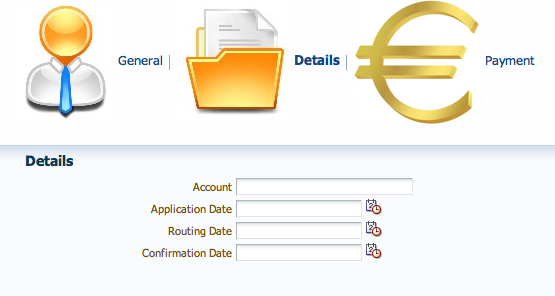 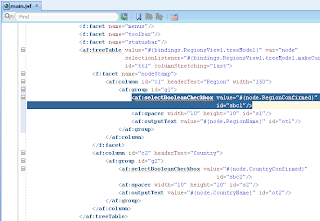 Do you want to learn about how to sell the value of Fusion Middleware by combining SOA, BPM and WebCenter Solutions? 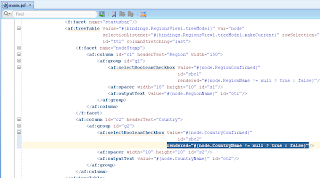 We would like to invite you to become updated and trained at our Fusion Middleware Partner Community Forum on February 7th and 8th 2011 at the NH Hotel in Malaga, Spain. During this highly informative event you can learn about partner success stories, participate in an array of break out sessions and exchange information with other partners. 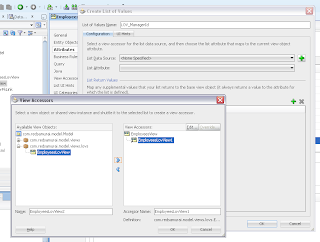 Red Samurai will be doing ADF/WebCenter Master Class session together with colleagues from InfoMentum and VASSIT. 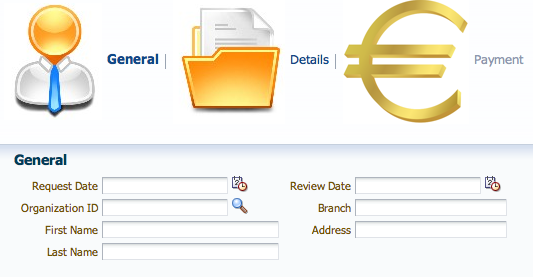 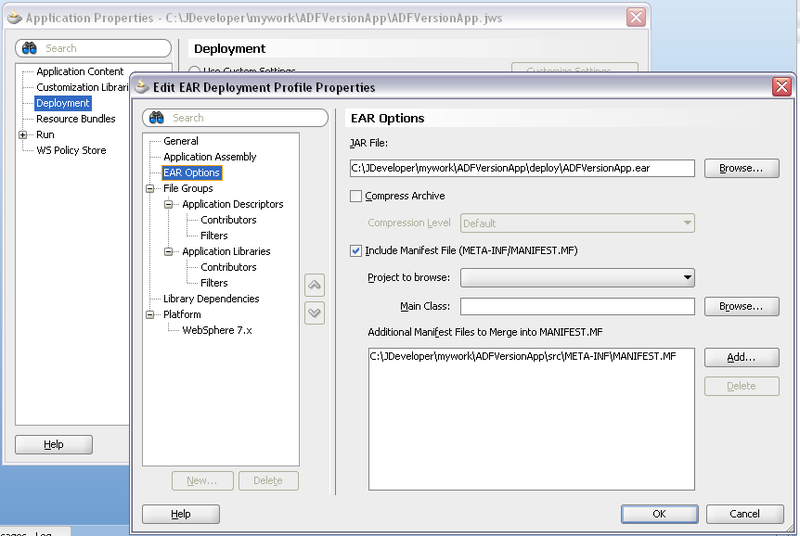 Download sample application, it includes sample Manifest file - ADFVersionApp.zip. 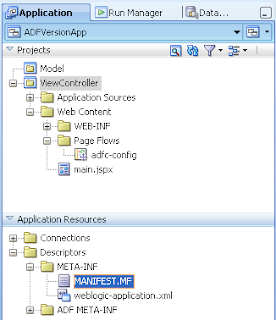 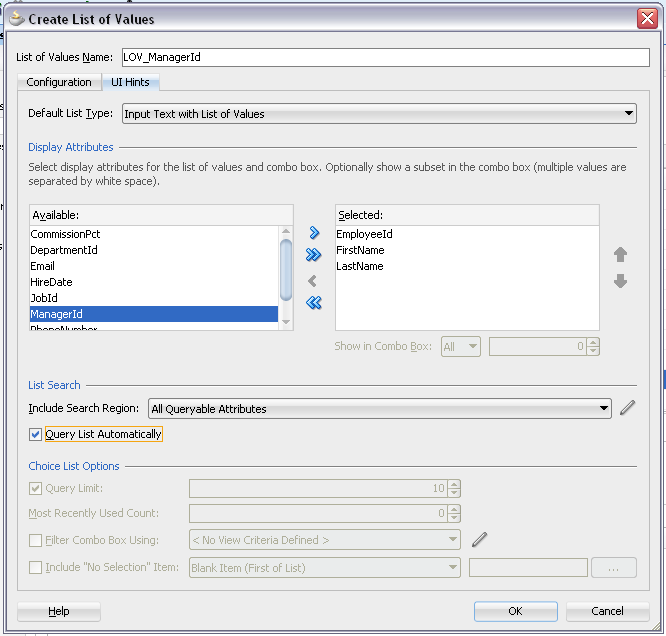 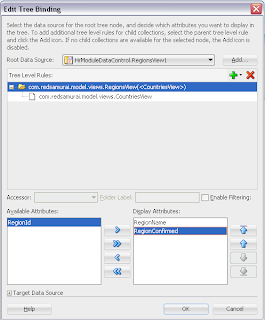 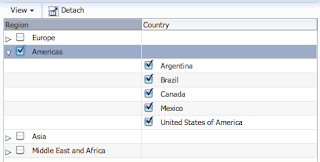 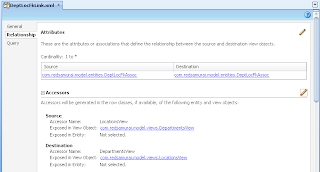 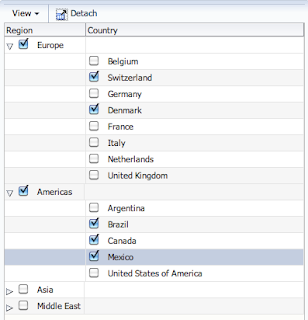 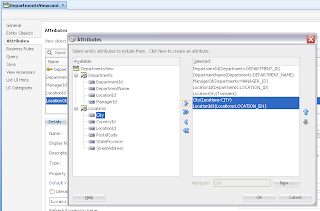 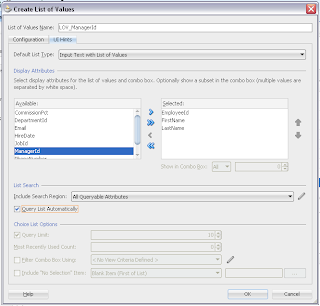 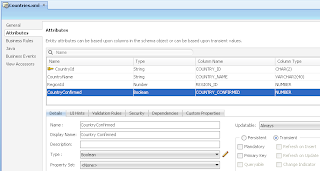 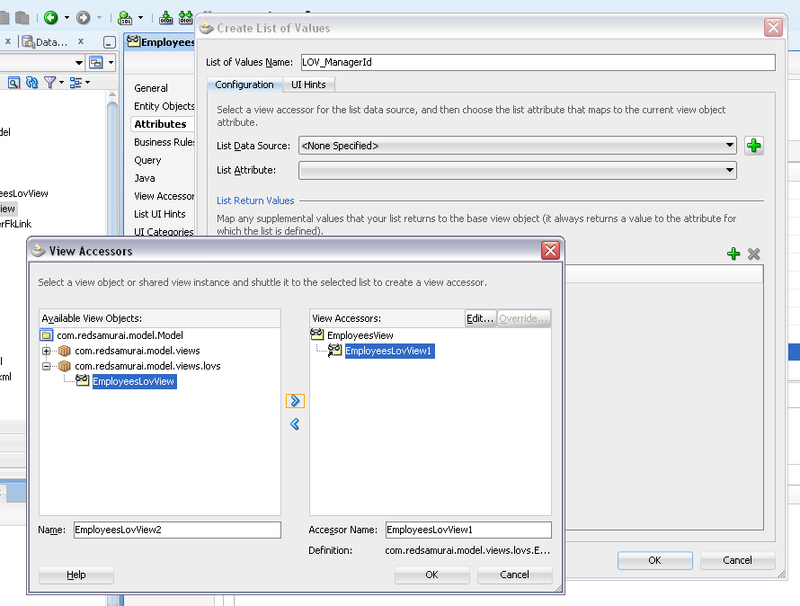 This is common request - to add checkbox next to ADF tree nodes. 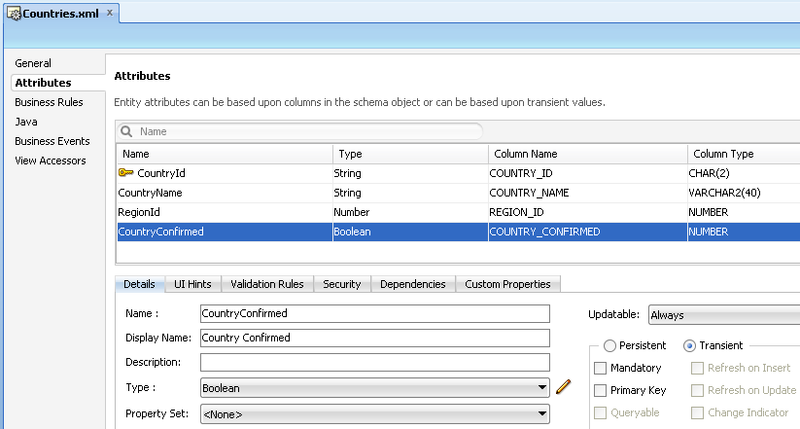 Obviously we should use ADF selectBooleanCheckbox component - however selectBooleanCheckbox is not propagated across ADF tree levels by default (applies to all ADF 11g versions). 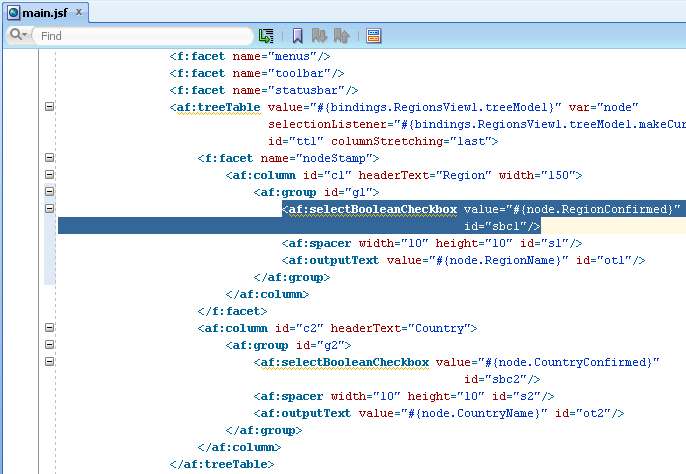 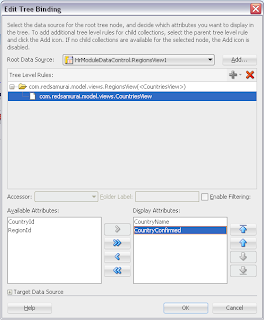 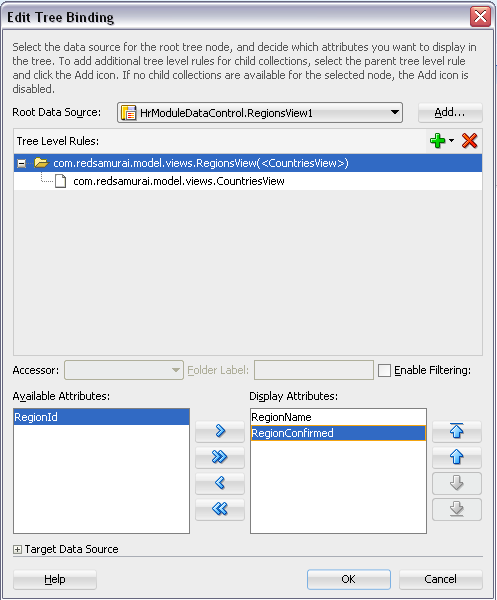 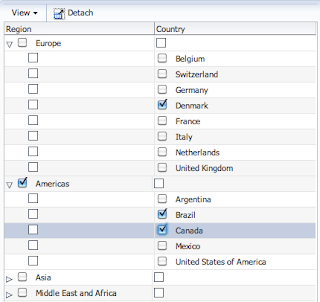 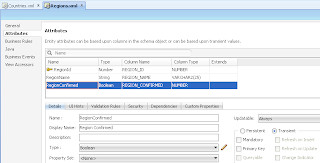 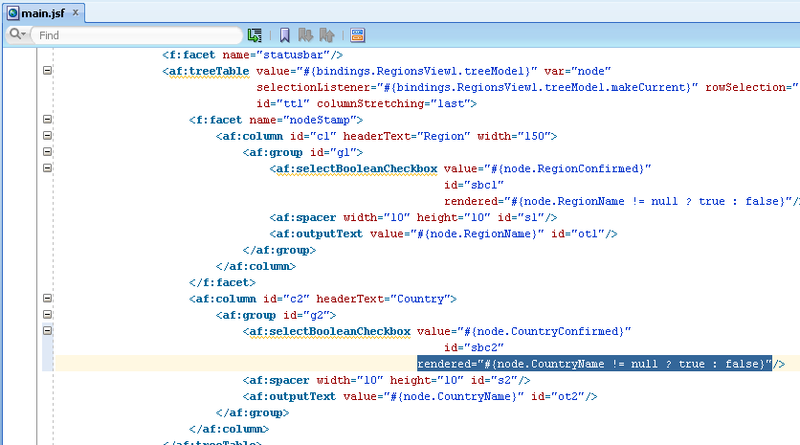 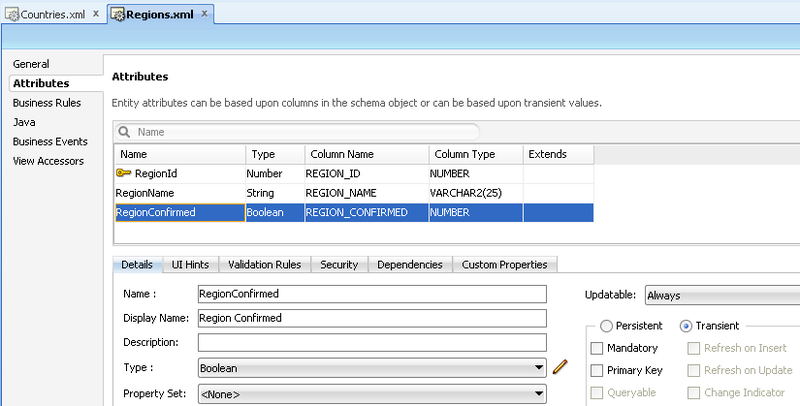 This post provides sample application for selectBooleanCheckbox rendering on different ADF tree node levels. 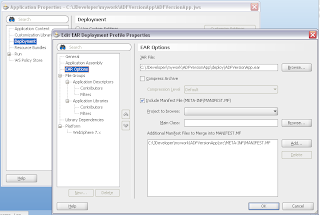 Download sample - TreeCheckBoxApp.zip (tested with ADF 11g R1 PS3/PS4). 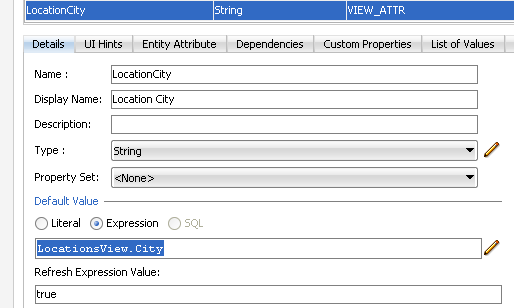 When expanding ADF Tree node, by default - each time ADF generates new SQL statement to retrieve expanded tree level nodes. 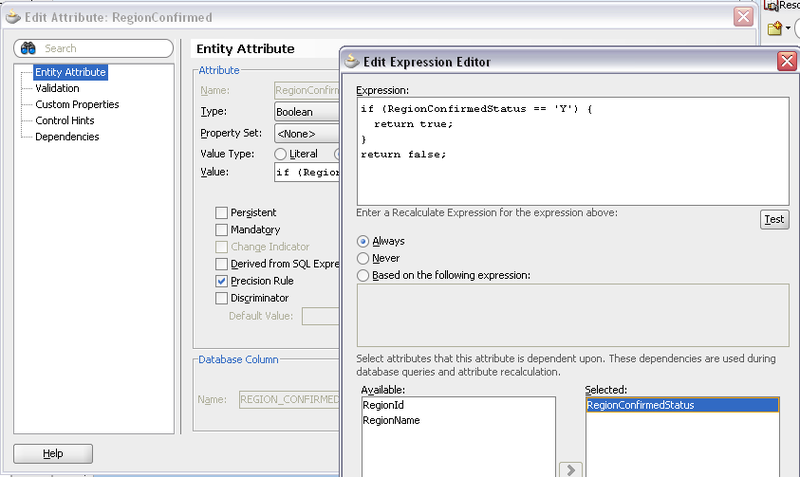 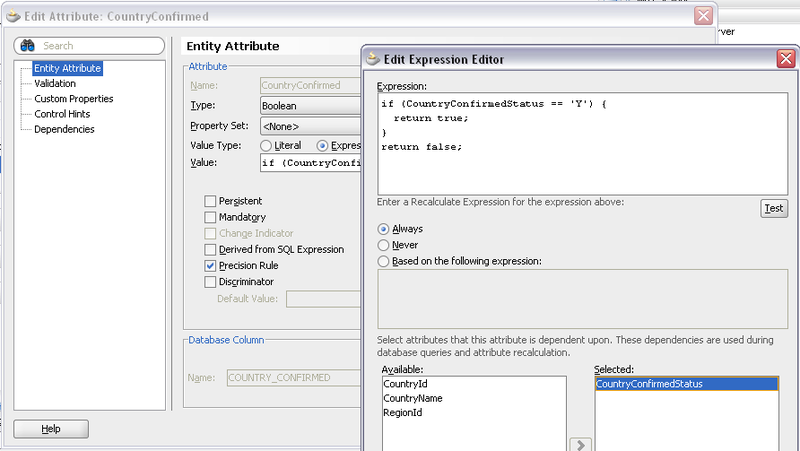 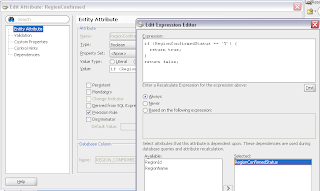 New SQL statement is generated even after collapsing and expanding same node. 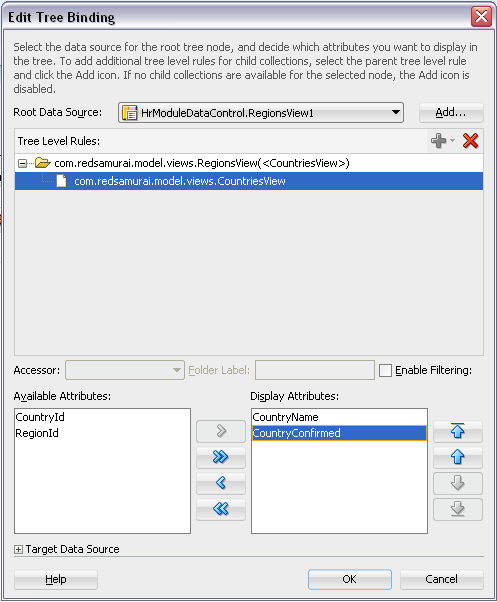 In most of the cases, especially when tree structure is static, we would like to avoid multiple SQL invocation for the same nodes. 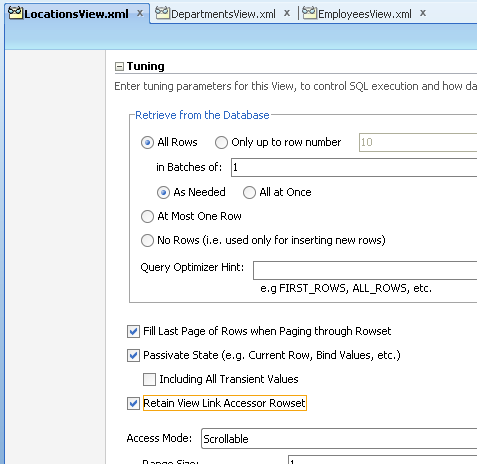 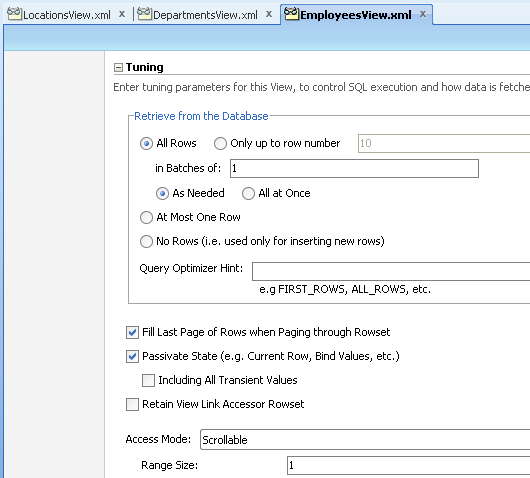 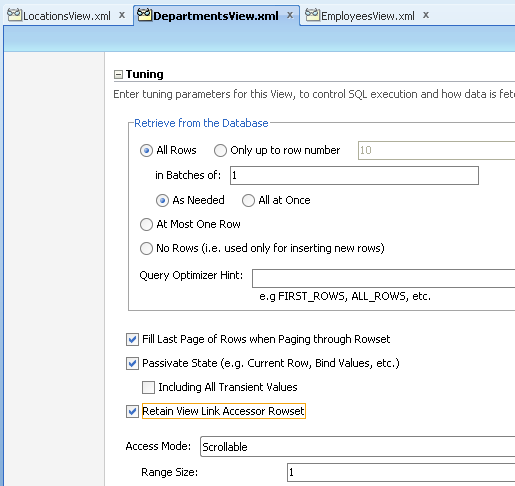 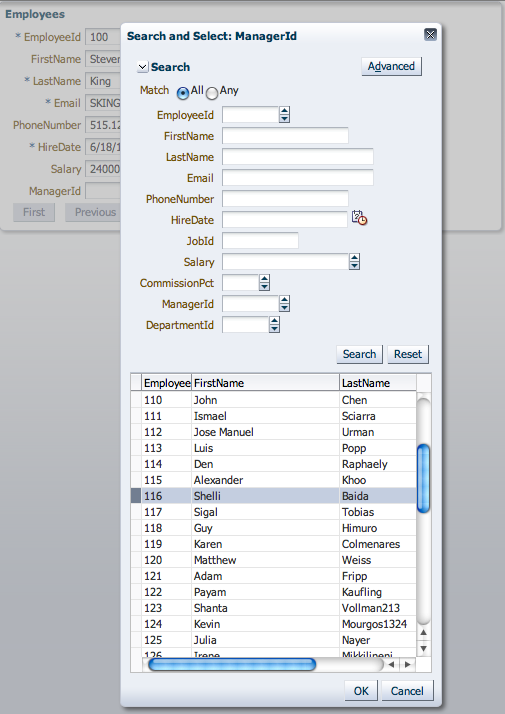 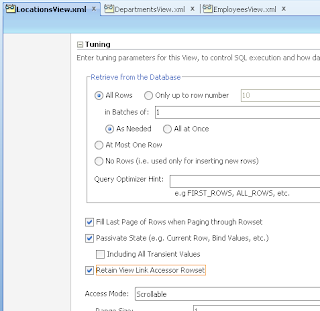 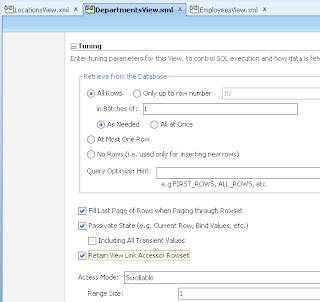 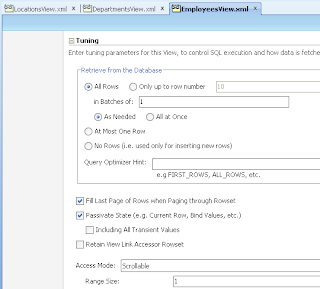 This can be achieved by setting Retain View Link Accessor Rowset option for View Object tuning. 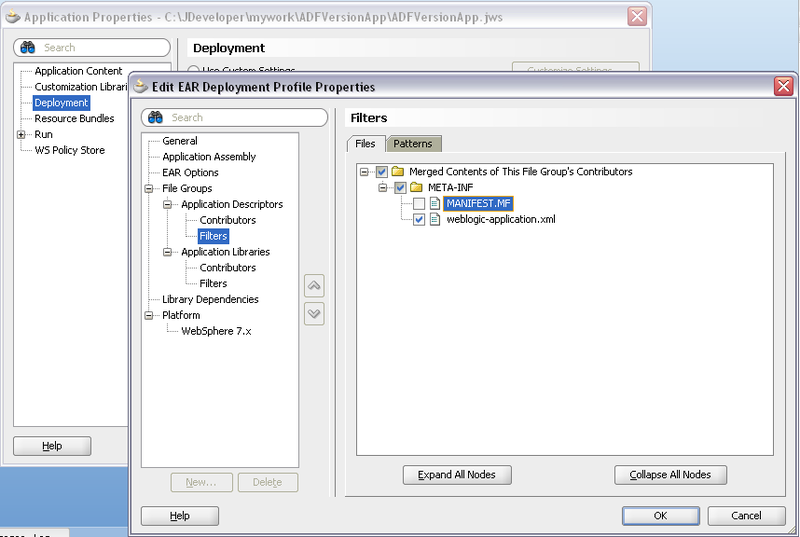 This post is based on latest production JDeveloper - 11g R2 (11.1.2.1.0). 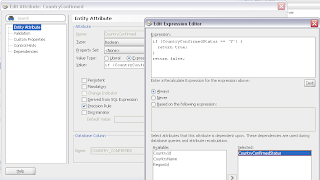 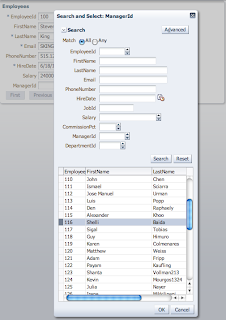 ADF BC applications typically are working with database, when SQL statements are complex and slow - its good to apply Range Paging for VO's in ADF BC. 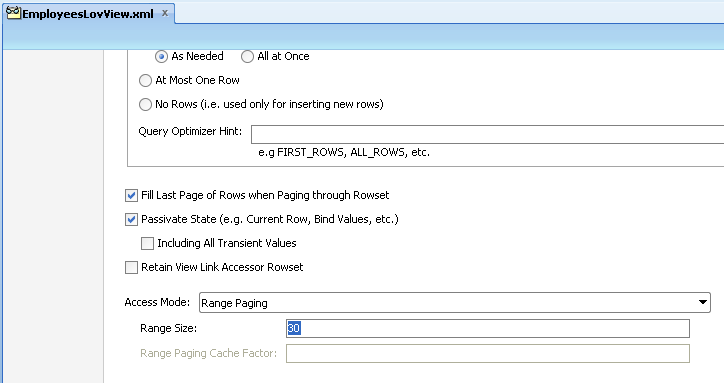 Range Paging enables ADF BC to prepare SQL statement to retrieve only predefined subset of rows from database - significantly improving data retrieval performance. 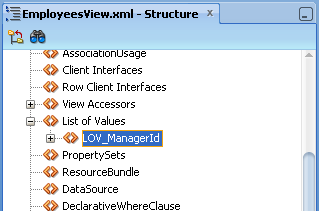 LOV is one of the elements in ADF applications where we can expect lots of rows to be retrieved - means good candidate to apply Range Paging. 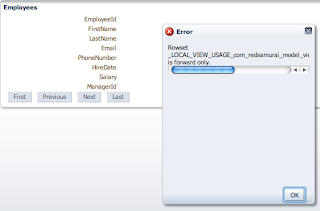 However, if you try to apply Range Paging for LOV - it will not work. 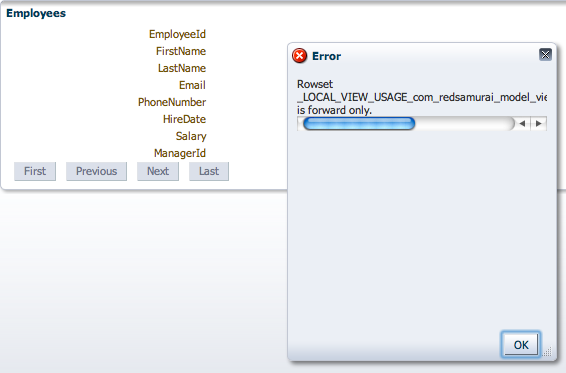 Wait wait..., but there is a workaround I will describe today. 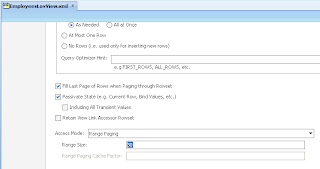 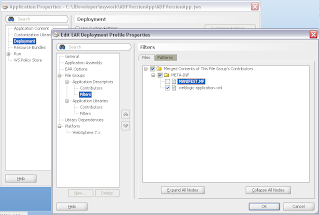 Download sample application where Range Pagine for LOV is working - LOVRangePagingFix.zip.